Spicy Pinecone: Crochet Octopus and New Baby Blankets. 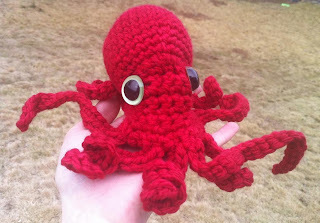 If you know how to crochet and are looking for a fun project, head on over to Ruby Submarine and pick up one of Leah's octopus crochet patterns. It is too stinkin' cute and the pattern is very clear and easy to understand. She's got other patterns as well, but the octopus is the only one that I've tried, thusfar. Now tell me that little cephalopod isn't in need of a nice, squishy cuddling. Speaking of the baby (whom my son, Kai, wants to name "T-rex" if it's a boy or "Cheesy the Cowboy" if it's a girl), I've also been working on a few blankets. 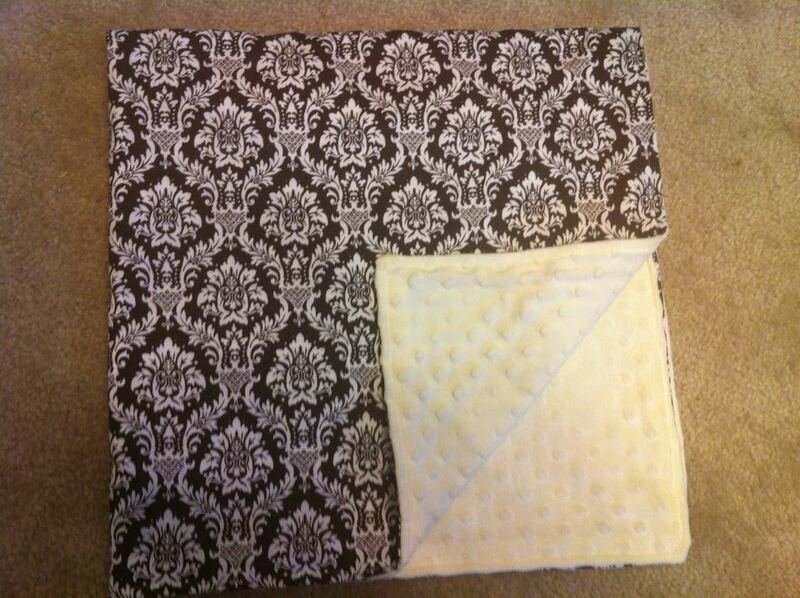 I figure that the blankets that aren't gender-neutral will make good gifts for other people's munchkins. 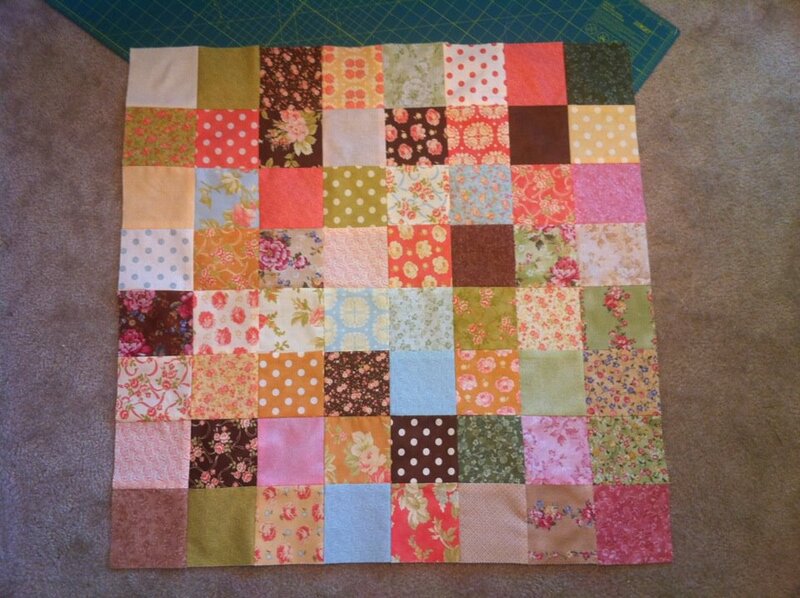 The first blanket was originally going to be a patchwork dress for Scarlett, but it looked way to "quilt-like" so that's what I decided to do with it. The quilt top. Haven't put batting or a backing on yet, but I'll probably do that in the next few days. 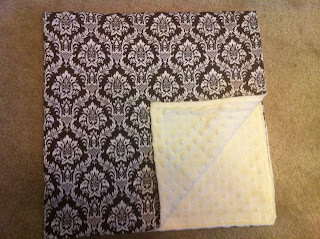 And the next blanket I made was my first attempt at working with Minky fabric. I was pretty happy with how it came out, and I tried to keep it pretty gender-neutral. 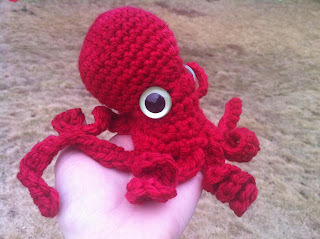 Will post more pics when the other octopuses are complete and future baby projects.